Going green isn’t just trendy –– it’s a way you can help save the planet, extending its health so future generations can enjoy it. While there are a number of ways to contribute, such as recycling, walking instead of driving, and turning off all the lights in your house while you are out, one is a home improvement task that will upgrade your home’s facade at the same time that it saves you money: siding. 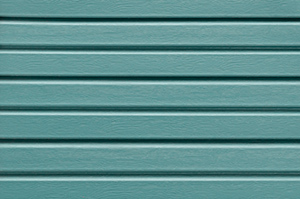 Gerald Jones Company offers a plethora of siding options from our Durham, NC location, including vinyl, HardiePlank® and insulated. Siding not only updates your home and makes it look pretty, but it prevents you from having to paint your home every few years. Insulated siding is both an innovative and aesthetically pleasing option, as it keeps your home warm while protecting it from outdoor elements. The insulation brings the siding as close together as possible, virtually eliminating cracks and weak spots in coverage –– spots where warmth or cool air can escape from your home. Think of it as wrapping your home in a blanket. By eliminating cracks in your property’s siding, you could experience lowered energy bills, as less climate-controlled air will be escaping from your home. Gerald Jones’ insulated siding also increases your home value, and helps cut down on outside noise from the street or nearby highways. If you want to update your Durham home and cut down on your electric bill at the same time, ask our home contractors about installing color-customizable insulated siding. Call our siding team at 919.286.1700 to go green by scheduling your free home improvement consultation. This entry was written by geraldjones, posted on May 9, 2015 at 7:45 am, filed under Uncategorized. Bookmark the permalink. Follow any comments here with the RSS feed for this post. Both comments and trackbacks are currently closed.